The creator of our newest Map of the Week, the russian mapping superstar Spitfire, , has created another great map, Valhalla, which really looks like an awesome map to me. 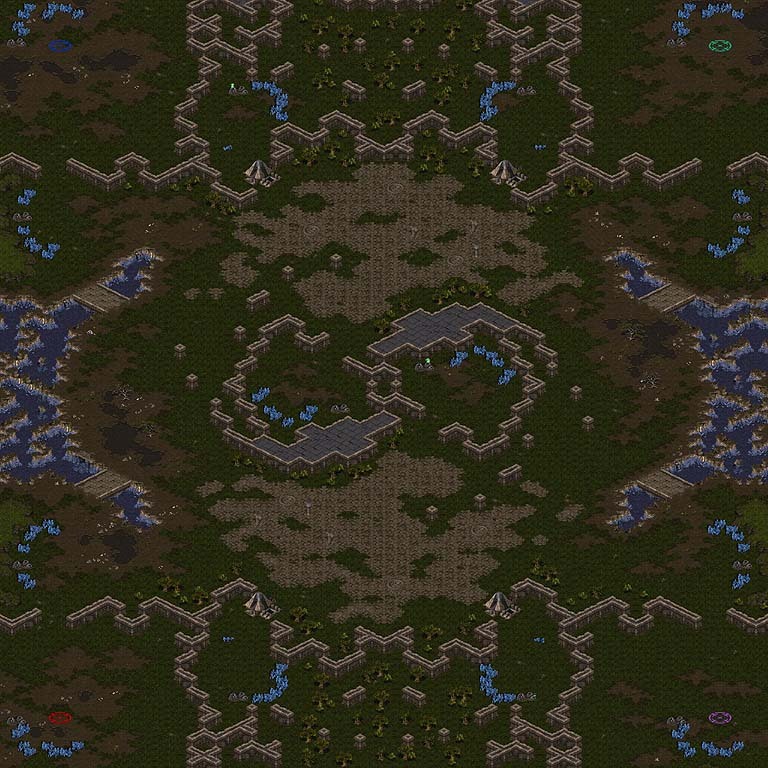 The map has unusual dimensions, a great use of widened ramps, a brutal count of detail, and a very strong battlefeel to it, after you have to take the center to be sure not to be overrun by a good Terran attack, somehow like Ride of Valkyries. You can easily take you natural and then be ready for a fearless macrogame. 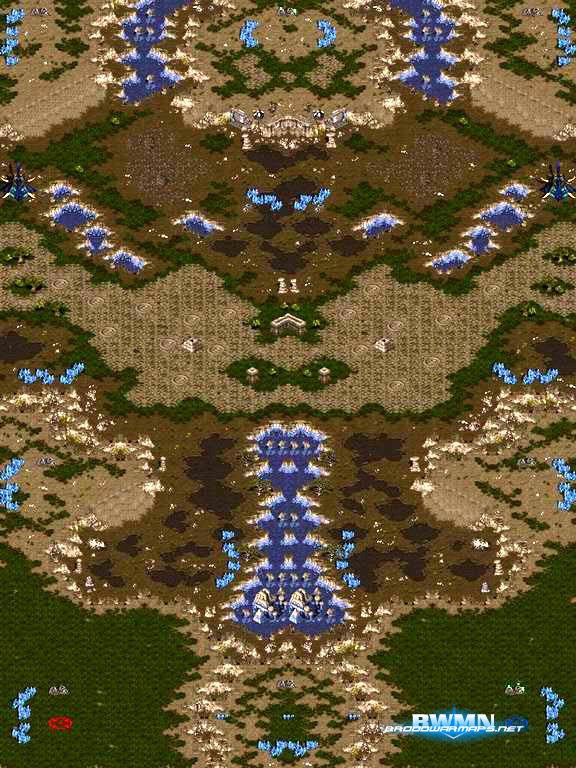 Protoss shuttles as well as Zerg Mutalisk may be "it" on this map against Terran. To me, it looks like one of the most interesting maps in the past weeks and so deserved the wonderful title: Map of the Week. And after we are late, i'll set up the next MotW and we have to be fast to get into our normal rythm again. 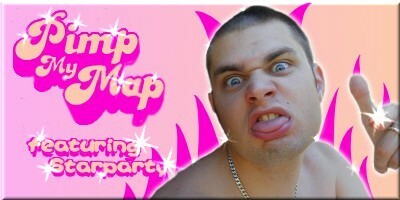 By submitting to this contest you agree that your map will be pimped by ME! Please do not submit maps you didnt create yourself. When the deadline is over i will select the most tragical map in the bunch and make it supah hot :) If you want your map pimped - gogo! The map must ofcourse be balanced, but remember that its a 3on3 player map so focus on 6 players instead of 2. For instance there might be neccesary to place quite alot of expos compared to a 2-4 player map. Goodluck. ps. im the sole judge in this competition and i will proclaim the winner as i see fit. If i choose the winner just because its the prettiest map - fine. Im the one deciding ;P Don't whine - Decorate. 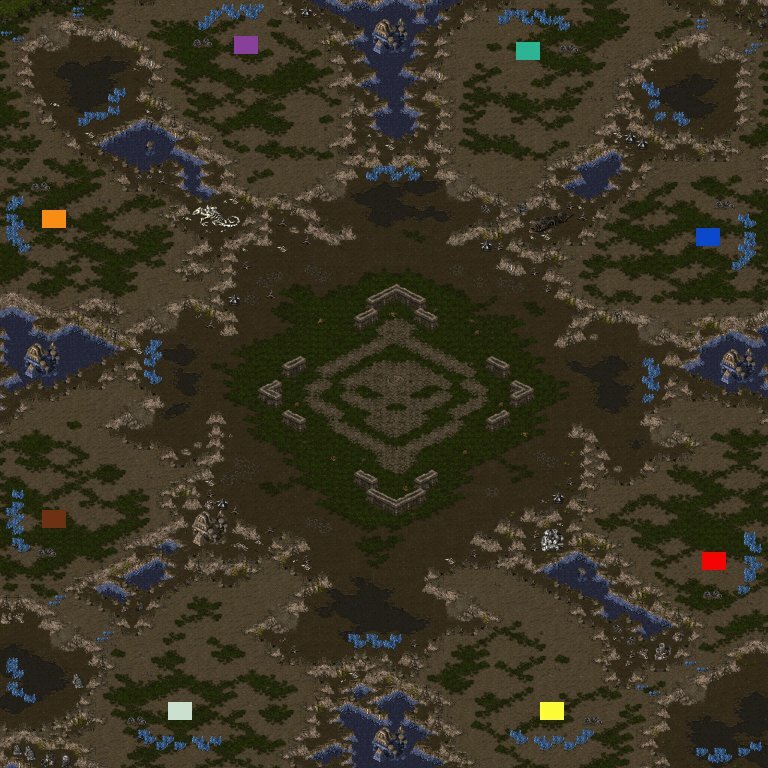 A new year, a new start, a new great map of the week! This time the author is noname who have a map in the first BWMN Map Pack, but no MotW untill now! Congratilations to noname with his first MotW which is called (4)old town0.2. The intresting elements in (4)old town0.2 are the natural buildings. They are placed very good, so the pathfinding is still on a great level. Those natural buildings are a very important element of the map. In the frist view, we can see a semi-air expand. But in long games, they can be used as a second door to the vertical location. The map also have some very well protected natural expands in the middle, wich are also a very usefull tactical element of the map. I also want to say that this is one of the best maps i've ever seen with so well good used Temple Wall! Again, congratilations noname, for the great work. Really this is your best map ever! The melee map version can be download from here. The observer map version can be taken from here. All the work from noname can be found here. Because the tourney was in bulgarian server, the players were all Bulgarians, except for ScoutWBF_Pro & Panschk_Pro, who are both germans, and well known in www.broodwarmaps.net as ScoutWBF and Panschk[FP] (The founder of www.broodwarmaps.net). The players who get to the final were sC4s]StInG and virus_protoss, both bulgarians. Their main races are Zerg (sC4s]StInG) and Protoss (virus_protoss). The first map was (4)Toxicity v1.1, and virus_protoss win easily with blocking the entrance with zilots and cannon rush. The second game sC4s]StInG pick (4)Sattarchasm, and after 22 minutes of Blood Bath, sC4s]StInG win with a big advantage in army and expands. The third and final game was on (4)Toxicity v1.1 again, picked by virus_protoss. The intresting thing was that virus_protoss chose to be a terran. So the game was TvZ. sC4s]StInG didn't use the advantage that virus_protoss is a protoss player and play only on one hatchery for very fast lurkers, but virus_protoss stop them, and then easily win. So the winner of this tournament was virus_protoss. virus_protoss is a 15 years old boy. His real name is Ilian Zdravkov Stefanov. He plays Brood War since 2003 year, but only for those 2 years he is showing us that he is having a good future in gaming. So lets wish good luck to virus_protoss in the showmatch, that the date of it, is still unknown.